Advantage Cleaning is familiar with the CQC requirements and will help you ensure that you pass the CQC inspections. 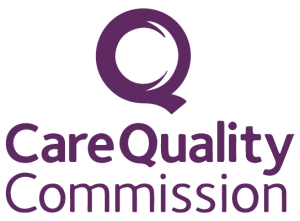 Advantage Cleaning work to the highest levels of CQC because we meet the exacting standards of the care quality commission’s national specification for cleanliness standards. We make sure that the appropriate documentation is being provided that proves how cleaning processes are being managed, within a clinical environment applying our rigorous auditing process. The emphasis on a clean environment is a shared responsibility beyond just the cleaning staffs responsibility we actively encourage each member of staff to share information with us to facilitate a near as perfect service as can be offered we take all cleaning related comments seriously and act upon them instantly. We are fully compliant with all CQC requirements and our criteria is to improve and not just meet that level of cleanliness, this we do on a daily basis. Advantage Cleaning is a company with more than 15 years of experience within a wide range of sectors, dealing with Blue chip companies in a varied range of challenging environments including clinical and medical. Removal of clinical waste and disposal of including handling of sharps is part of the enhanced service we provide and we have many years experience in disposal protocol. Advantage Healthcare cleaning is just one of the services that you get great prices on as an Advantage member, we believe in giving extra value along with outstanding service and quality service in all aspects of our services. BOOK YOUR SITE SURVEY TODAY, ITS TOTALLY FREE AND YOU ARE UNDER NO OBLIGATION PLEASE QUOTE YOUR ADVANTAGE MEMBER NUMBER FOR ADDITIONAL DISCOUNTS ON ALL YOUR REQUIREMENTS. Most of Advantage Cleaning work is done when your premises are closed, but of course cleaning during the day must still take place. If you want us to do this we can certainly allocate cleaners to you, but you might find it preferable to maintain disinfection yourselves, in which case we will provide whatever you request. These would be delivered to your premises and we will ensure COSHH sheets are on site as we do for all of our materials. All Advantage Cleaning staff are DBS checked and are briefed on confidentiality and what to do with confidential paperwork they come across. Why not contact us today to enquire about our cleaning services. Or, fill in our contact form below to send us a message! Please confirm that you are human, tick the box below!